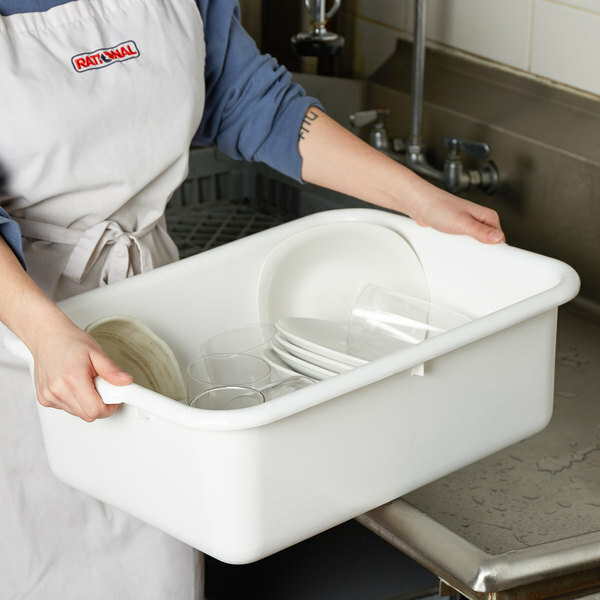 This Tablecraft 1537W bus box is an efficient and durable solution for cleaning flatware and collecting dishes. Made of high density polyethylene with the ability to hold up to 50 lb., this bus box is built to last. Its classic design in white is easy to clean and sports reinforced handles for easy transporting. Featuring a pebbled exterior finish, it is stackable, great for storage, and has FDA approved material. A great addition to your cafeteria or restaurant! 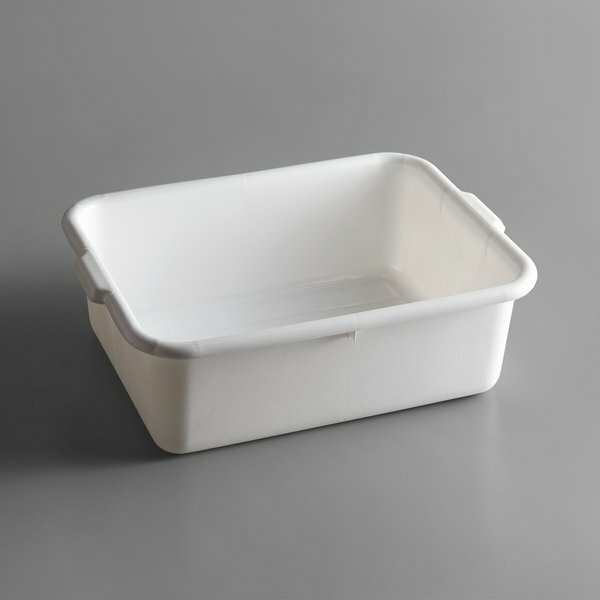 These are great for storing dry goods in your kitchen especially since they are FDA approved. We store tortilla chips, potato chips and pork rinds in them. We use these Plastic Tubs for year and just purchased another dozen, they are great to store prepared dough or to used them as a proofing box. They are very durable and even the ones that we have been using for the past 4 years haven't broken on us yet.